Find property for sale in Hanover, Lebanon, Norwich, and any Dartmouth/Upper Valley community. Come Home to the Upper Valley! Looking for an experienced real estate agent in Hanover, New Hampshire? Hal Sheeler has served Buyers and Sellers in the Dartmouth/Upper Valley region since 2001. Honest and attentive service guaranteed. Update: Looking for a home in Lebanon, New Hampshire? move quickly in this market. Contact me, Hal Sheeler, at 603 398-2151 or hsheeler@gmail.com. It’s a tight market. You need someone on the ground here. at this time of year. We have a real shortage of housing. Call me to list your home. Coming to work at Dartmouth-Hitchcock Medical Center? Doing graduate work at Dartmouth College? Contact Hal Sheeler at 603 398-2151 or hsheeler@gmail.com. In the Dartmouth/Upper Valley area of New Hampshire and Vermont, winter brings its own beauty and opportunities. The Upper Valley can be a lot of fun during the winter months….there are still plenty of ways for you to embrace the season! Here are 6 ideas to get you outside this winter! Go ice skating at one of these 6 FREE Ice Skating Places in the Upper Valley! Go sledding at one of the 5 Best Sledding Spots in the Upper Valley! Try out Ice Fishing! You can experience Ice Fishing at Dewey’s Pond with Hartford Parks & Rec on January 27th. Pull out your Skis or Snowboard and use one of these great Ski Deals in Vermont and New Hampshire! Take a Winter Hike in the Upper Valley! Just be sure to use the proper equipment and bundle up! Make it extra fun by bringing along some snowshoes. Go snow tubing at Arrowhead Recreation Area (Claremont, NH)! A great option for those that don’t ski or snowboard! 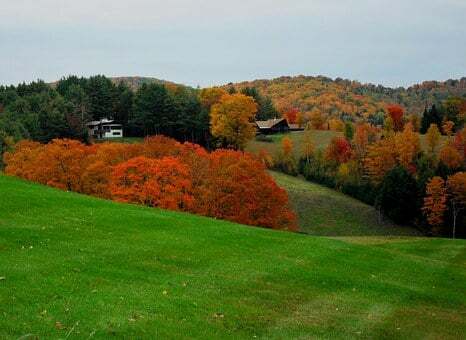 Superb 2001 Strafford, Vermont home on 25 acres. The Upper Valley refers to communities on both sides of the Connecticut River in New Hampshire and Vermont centering around Lebanon and Hanover. Some New Hampshire communities in the Upper Valley region include: Hanover, Lyme, Lebanon, Enfield, Canaan, and Plainfield. Some Vermont communities in the Upper Valley region include: Norwich, Hartford, Hartland, and Sharon. Hanover, NH is home to Dartmouth College. Dartmouth-Hitchcock Medical Center in Lebanon, NH is the area’s largest employer. New Hampshire and Vermont’s Upper Valley is surrounded by the Green Mountains of Vermont and the White Mountains of New Hampshire and consists of many small, wonderful towns and cities. Home to DHMC and Dartmouth College, the ninth oldest college in the country and proudly serving the Ivy League community, Hanover New Hampshire offers the hustle and bustle of an upscale-casual city with a small town feel. Cities and towns in New Hampshire and Vermont’s Upper Valley consistently rank among the best places in the country to live and visit. Whether it be for the multitude of outdoor activities like skiing and hiking, academic programs at Dartmouth College or locally owned shops and restaurants, we stand proud of our community and the unique way of life we provide for ourselves and our families. potential Buyers or Sellers. You are only officially represented by a REALTOR when you have signed an agreement to that effect. Please read these forms. Hal is very knowledgeable, so well-connected – he was able to help us find something in our tiny little price range and didn’t mind walking up and down a million spider web-filled stairways to do it. I can’t imagine not having Hal as our realtor. Hal’s approach to this process really made our lives so much easier than it could have been. He is professional, honest, caring, and an all around great person to do business with. Hal has continuously gone above and beyond my expectations to ensure smooth closings, even when I thought it would fall through for sure. He is diplomatic and always has his client’s best interests in mind. Superb. I have no reservations at endorsing Mr. Sheeler unreservedly. My wife and I are tremendously pleased with Hal’s services, and indeed we will avail ourselves of them again when we need real estate help in Vermont. Our evaluation is best told through reciting our experience in working with Hal. We met Hal in the spring of 2007: we contacted him concerning a piece of undeveloped land. Hal showed us the property, and was careful to listen to our tentative plans and ideas. In no way were we “sold” or pressured even though it was an extremely hot market at that time and we were looking at a relatively inexpensive piece of land. This wasn’t potentially a large deal for Hal, however he never made us feel that we were any less deserving of his time and care. A year passed and our plans matured in a different and more practical direction. We made contact with Hal again (late March, 2008) and we ended up making an offer on the place we were to buy in mid-April. Hal is direct, clear and patient. Hal is also tremendously competent: we dealt with him intensively as we were doing this at a distance. It was the smoothest experience in purchasing real estate that weíve ever had: he is clear, direct and organized. We came to implicitly trust Hal, and we’ve availed ourselves of his knowledge of contractors, electricians, etc. We’ve had a similarly strong experience with these people. We could not have been happier or more impressed by Hal’s efforts on our behalf. It has been such a singular experience for us that we consider him a friend. We hope you are well. We all know you are a great guy with excellent customer service qualifications, I can not tell you how pleased we were to have you act on our behalf when we purchased our property, you acted very professional and in our best interest of our purchase and with the best thought and care of the sellers. You were patient with all our decision making and you helped us decide on a purchase with some good solid advice for which we thank you, I have never met a more remarkable person, you went the full mile even out of your way to help us, coming from England to Vermont was a huge transition, but you helped us through everything, for which we are so very grateful to you for Hall, your ads are the most professional ones we have seen in Vermont and we hope that you will have much success in your future career, we wish you well and thank you so much, if I had a gold cup I would give it to you the inscription would be, to the best loyal, and most friendly helpful person in selling, and helping buyers, in Vermont, we take our hats off to you sir. Excellent services; thorough, thoughtful, respectful and a (much appreciated) listener. Did not waste my time with homes that I had not requested to see. I would recommend him to anyone without reservation.